n/a English. Black. Galgo is a type of dog similar to a greyhound. Clear Agumon + X With his quick-wittedness, this hunter soldier Galgomon hunts coolly in the night! 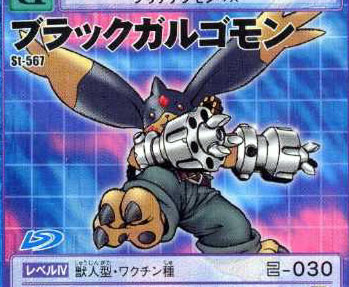 If you have 50 points or less when you place this in the Support Box, the attack of one Metal Empire Digimon increases by 370.